Witness the purity of nature and enjoy its sounds. A unique place in Russia, the Altai mountains form the tallest mountain range in southern Siberia and are separated by deep river valleys and vast intermountain hollows. The Altai stretches into Central Asia and crosses four state borders: Russian, Mongolian, Chinese and Kazakh. The Altai Mountains may be hard to reach, but once you are here you will never want to leave this beautiful area. Untouched rivers, clean lakes and pine forests are full of sounds that help big city residents relax. The Altai region is a distinct and mysterious land of large mountains and clean rivers and an old home to wild animals. This region welcomes tourists, especially those that are looking for a quiet and clean place to get away from noisy crowds and city air and spend time in untamed nature. 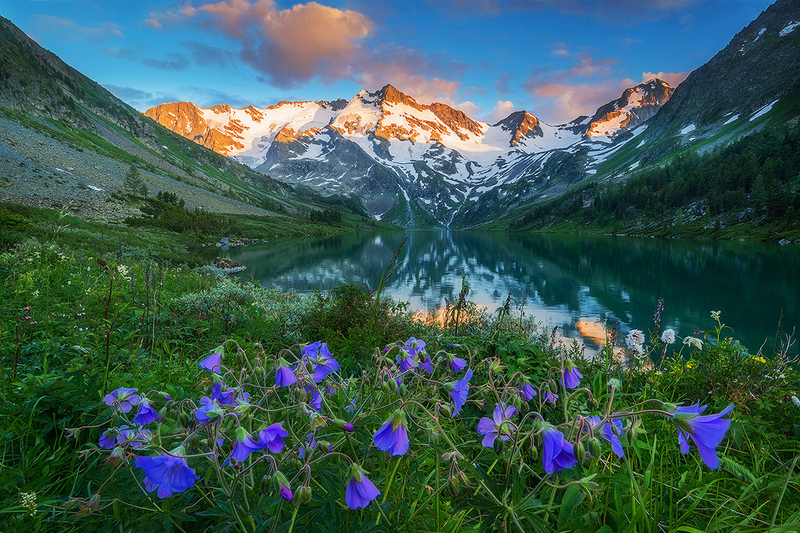 The Altai Mountains, considered by some the “Green Pharmacy ” of the earth and the “lungs” of the planet, is one of the cleanest and most unpolluted regions in Russia. As a result of its remote location, Altai’s nature has been well preserved. And you can hear it as well as see it. Nature reserves comprise 20 percent of the Altai Republic territory, and 126 natural monuments are also located in the area. The Altai Republic lacks a railroad. Therefore, to get to the Altai Mountains, you must first travel to, for example, Barnaul, Novosibirsk, or Biysk, and use cars or vans.